If you are having difficulties accessing the form below, you can download a Word document here. 1) Our Children and Young People (aim: to continue to improve attitudesamongst our young people and to build a community where they can play a fulland active role in building good relations). 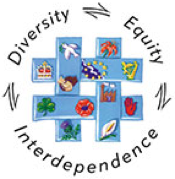 2) Our Shared Community (aim: to create a community where division does not restrict the life opportunities ofindividuals and where all areas are open and accessible to everyone). 3) Our Safe Community (aim: to create a community where everyone feelssafe in moving around and where life choices are not inhibited by fears aroundsafety). 4) Our Cultural Expression (aim: to create a community which promotesmutual respect and understanding, is strengthened by its diversity and wherecultural expression is celebrated and embraced). If your event is suitable for inclusion, it will be published in the Good Relations Week brochure and website. We will keep you informed regarding decisions.